It was the sixth day at the 35th Sharjah International Book Fair held in the Sharjah Expo Centre.Children from different schools across Dubai and Sharjah assembled inside the ballroom with immense enthusiasm for an interactive morning with writer and seaseoned politician Dr. Shashi Tharoor. He accompanied his son Kanishk Tharoor, a debutant writer of a recently published book “Swimmer among Stars”. 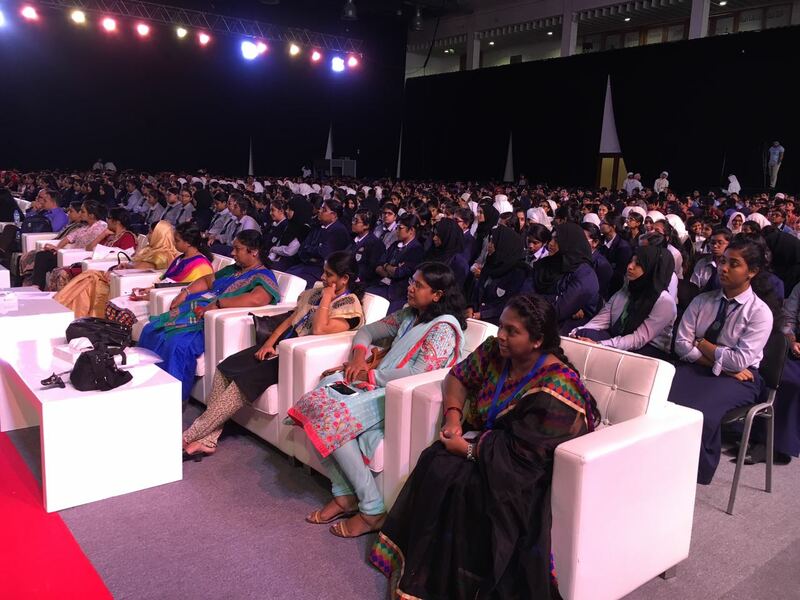 The book is a collection of short stories under the genre of fiction which was now launched in the Malayalam language at the Sharjah Book Fair. It was a one hour session where students from different schools asked questions related to writing, reading and the challenges of being a politician as well as a writer. “It was such a great experience, I feel like I have gained so much knowledge about the process that goes behind writing and the fact that experience is not as important as the words we use to write what we enjoy.”, said an eight grade student from Delhi Public School, Dubai. 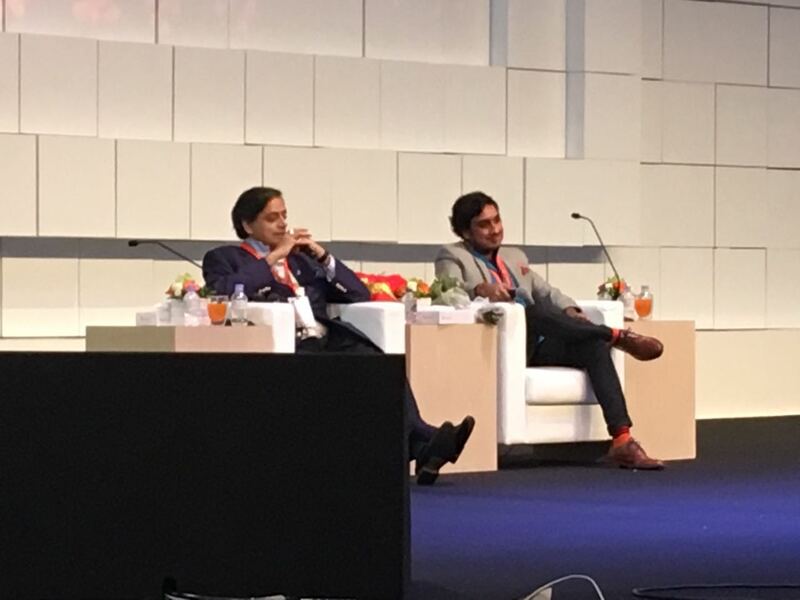 The session began with Dr. Shashi Tharoor expressing his pride over his son Kanishk Tharoor’s successfuldebut novel; he said “His book has received astonishing praise and reviews”. He also went on to express his feelings by saying “It’s been a very exciting period for me as a father to watch my son’s literary career take-off”. As the session proceeded, Dr. Shashi Tharoor spoke about how experience is not a very vital factor in deciding a writer’s skills,“Don’t judge a writer by his age, with experience you don’t necessarily get better”, he said. He also spoke about how some of the authors preferred their early writings rather than the ones they wrote recently which justified the fact that experience does not necessarily play a key role in deciding how good or bad a writer or his skills are. Kanishk Tharoor had spent most of his life abroad and he was inquired about how he managed to write a story based in a country he had never been to before. To that question Kanishk Tharoor replied, “You cannot ground everything to the place you are”. He also spoke about how imagining a place in your head is what is more important than being there because no matter where we are we must have knowledge about other places. “Be aware of what is happening outside the borders of your country”, he said. On being asked about career choices and passion, Dr. Shashi Tharoor said “Only do things that you can give your heart and soul to”. He also gave an example of a photocopier man in London that did his job with immense patience and dedication which showed that every job you do must have a certain amount of your adherence and love for it. Kanishk Tharoor also gave his view point about how sometimes people end up with jobs they do not enjoy but with a will any obstacle can be overcome. The Student’s session came to an end with book signing and clicking photographs. 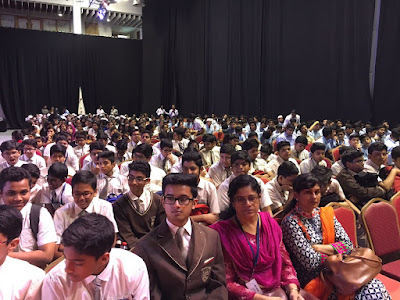 The most important aspect of the session was the genuine way in which both Dr. Shashi Tharoor and Kanishk Tharoor answered questions with an open mind and much patience which not only showed their passion for reading and writing but also showed their willingness to communicate clearly to students that aspire to be writers.